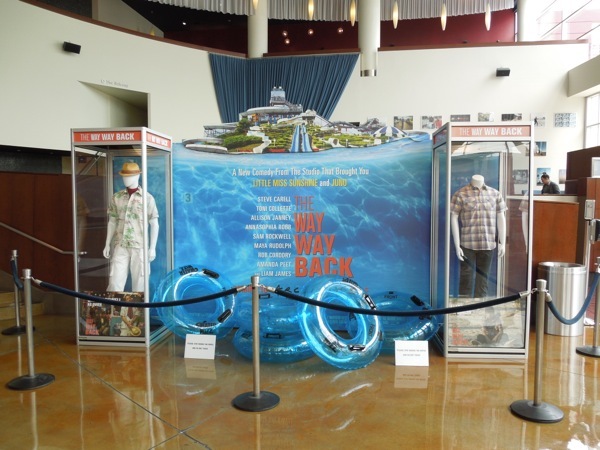 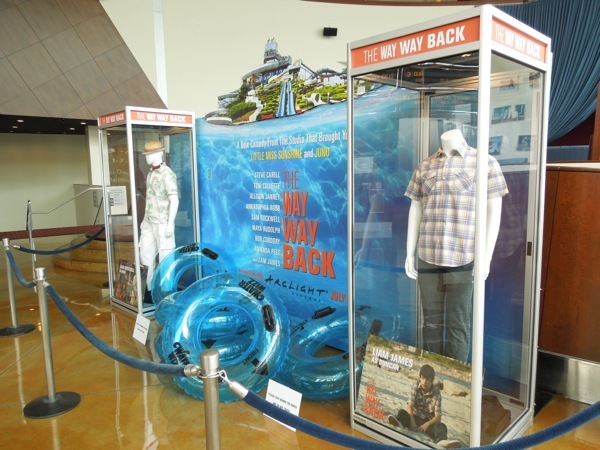 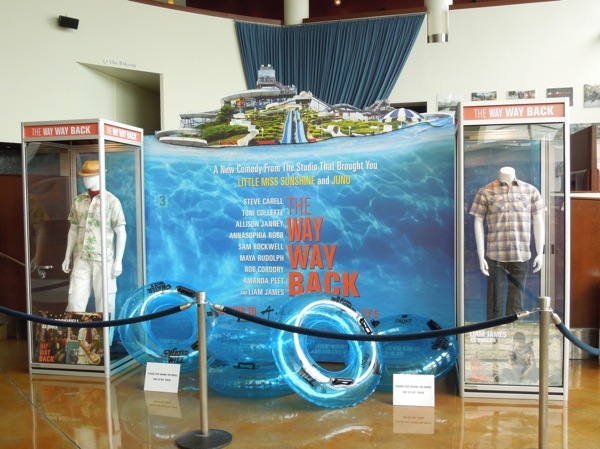 With credentials like Little Miss Sunshine and Juno this movie costume display for The Way, Way Back certainly caught my eye (although it may have something to do with the fun inflatable Water Wizz rings too). 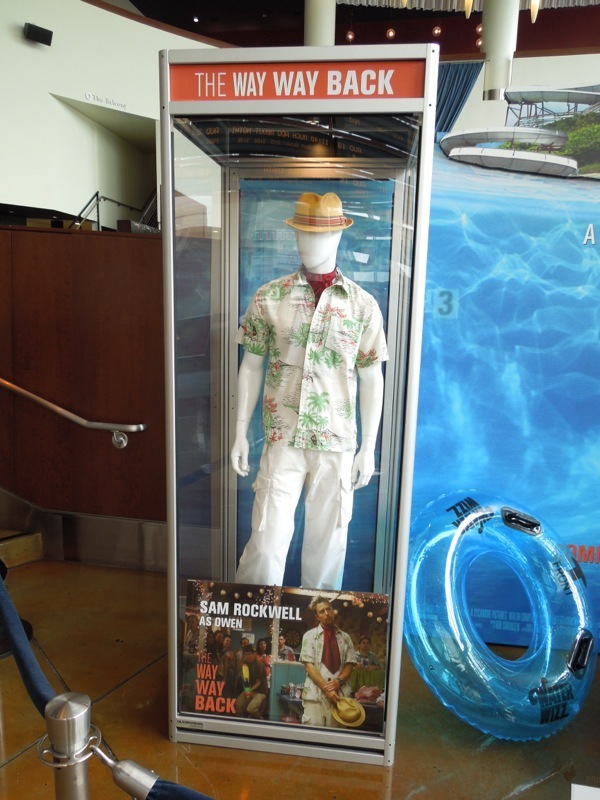 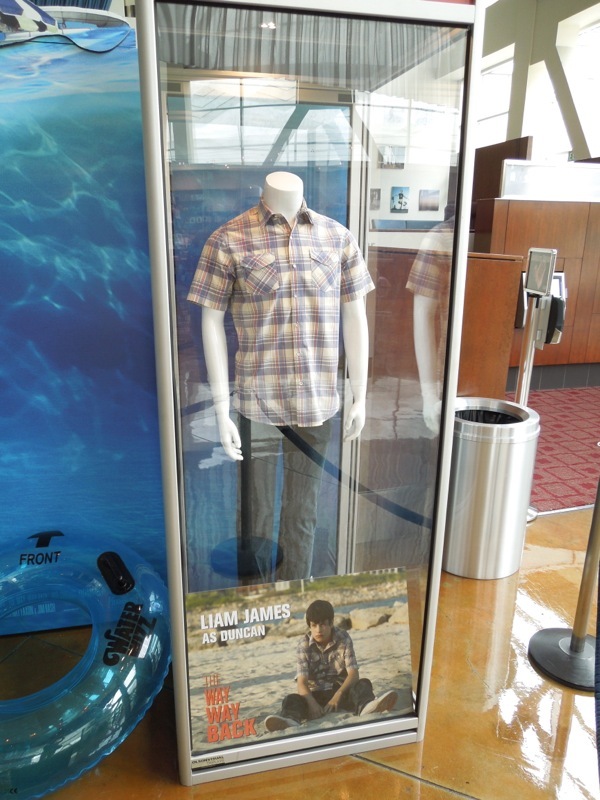 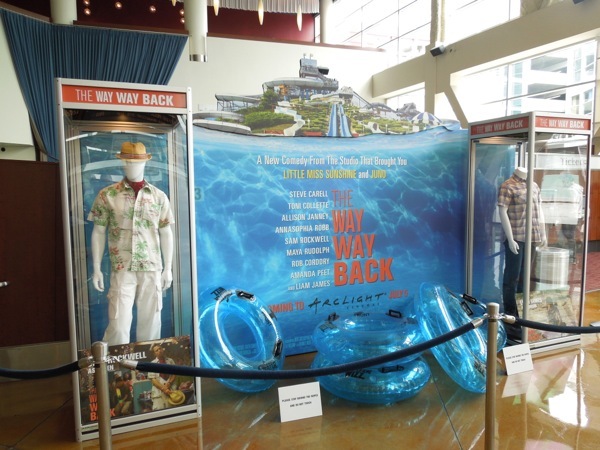 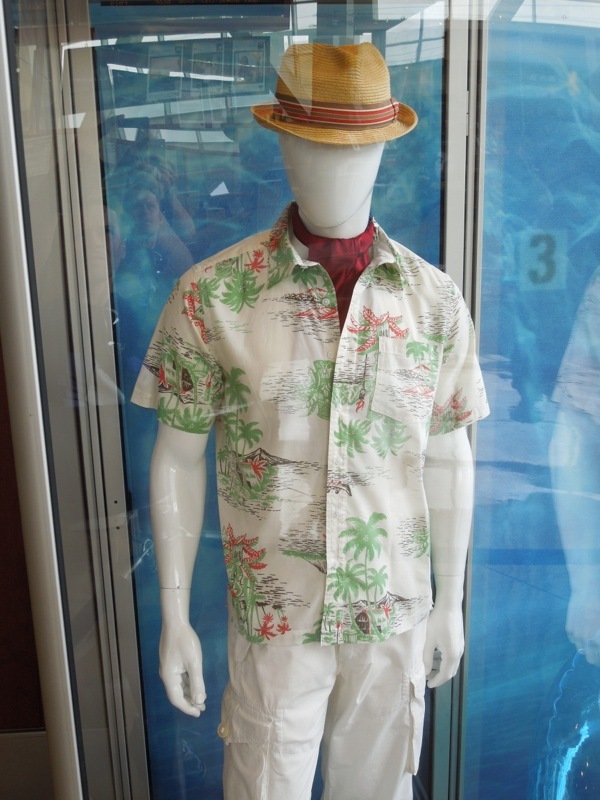 This costume and prop exhibit to promote the new comedy drama was photographed on display at ArcLight Hollywood cinema on June 7, 2013. 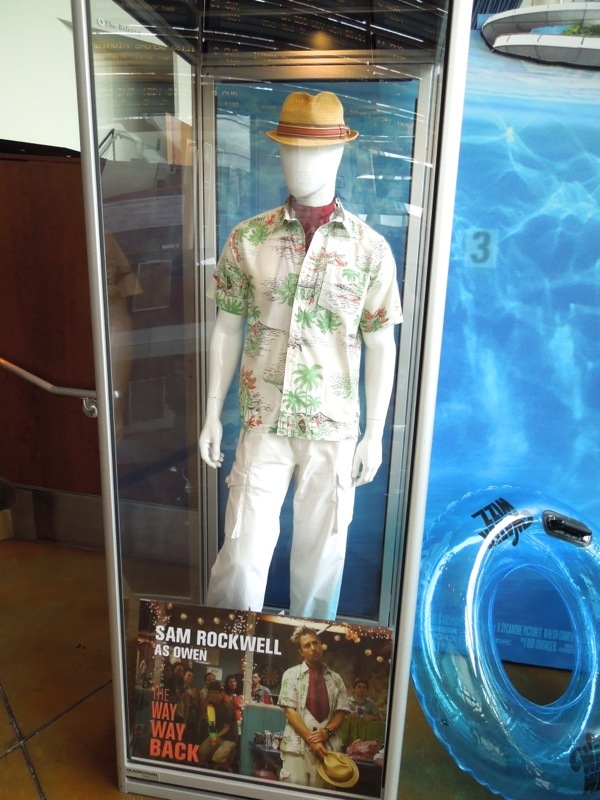 Costume Design on the movie was by Michelle Matland and Ann Roth. 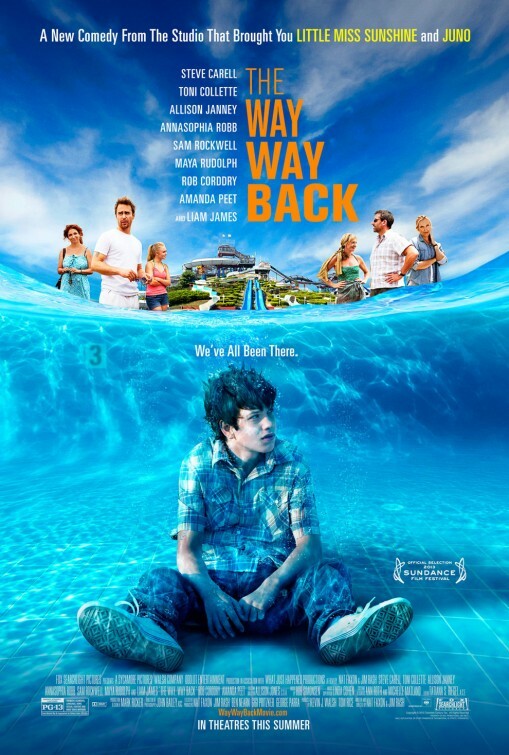 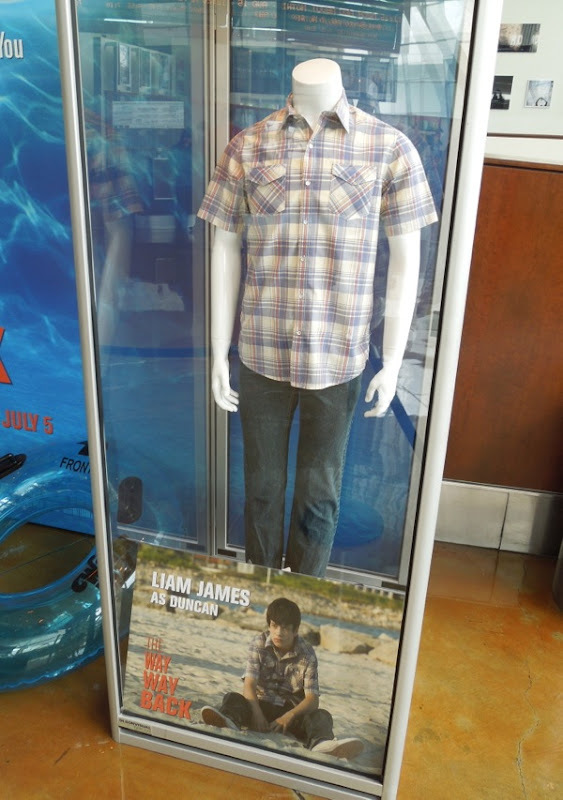 In this coming-of-age movie Liam James stars as an introverted teenager 'Duncan', who when on Summer vacation with his family forms an unexpected friendship with the water park's manager 'Owen' and slowly comes out of his shell for an unforgettable Summer. 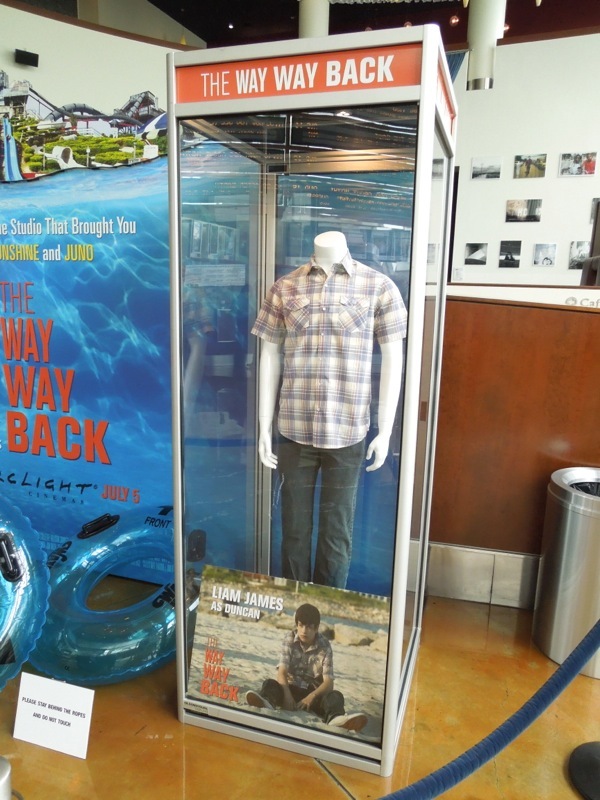 If you like these original costumes, be sure to also click through and check out this VW Transporter van from Little Miss Sunshine on display at the Petersen Automotive Museum.